Directions and parking information to the Thurston Classic. 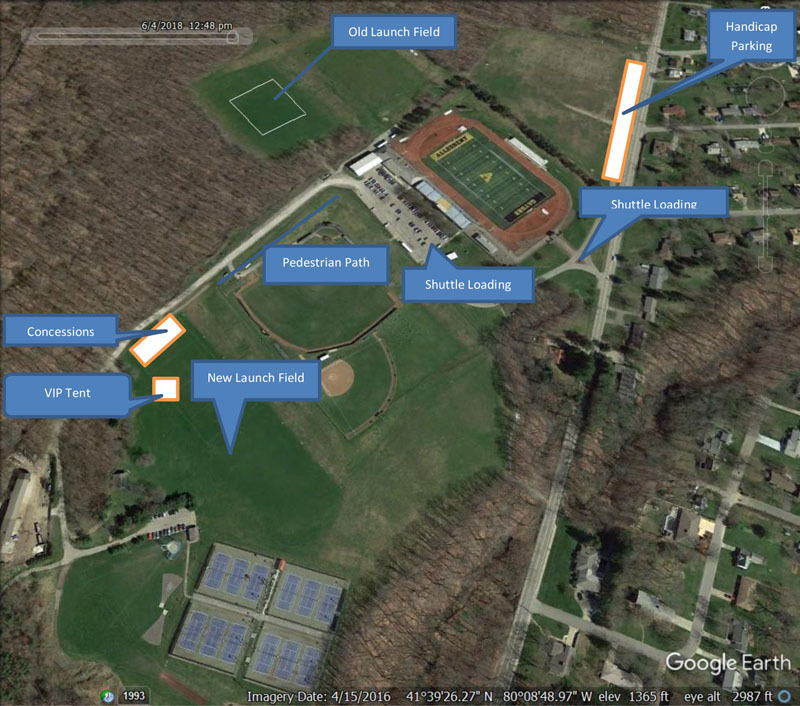 Note: The launch field has been relocated for the 2018 Thurston Classic. It is a short walk from the parking area and a pedestrian path will be provided as illustrated in the map above. Spectators are encouraged to use the pedestrian path. Spectators will not be permitted on the maintenance road adjacent to the path. There is no seating in the viewing area which includes a bank (too steep for lawn chairs) and a limited lawn area. Blankets are recommended. Lawn chairs may be used on the level portions of the viewing area.